There’s nothing quite like submerging into a hot pool, feeling the days tension instantly dissipate in a soothing wave of relief. 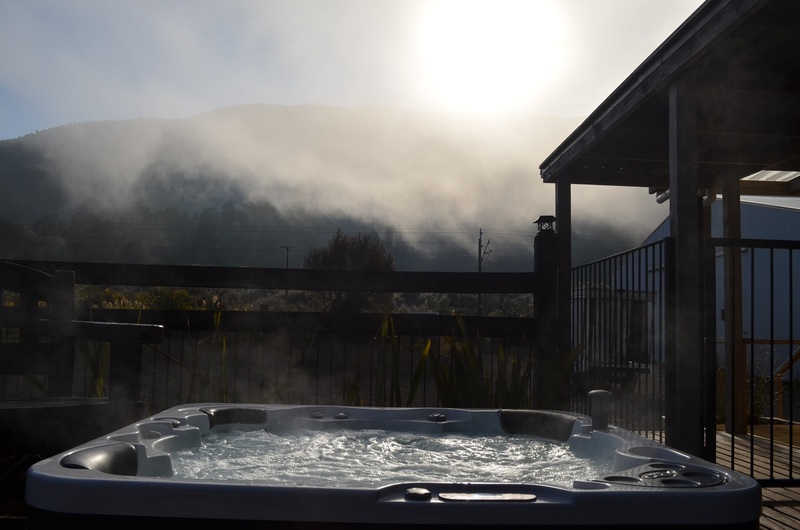 From the moment you arrive at Tongariro Springs Boutique Suites both hot pools are at your disposal. 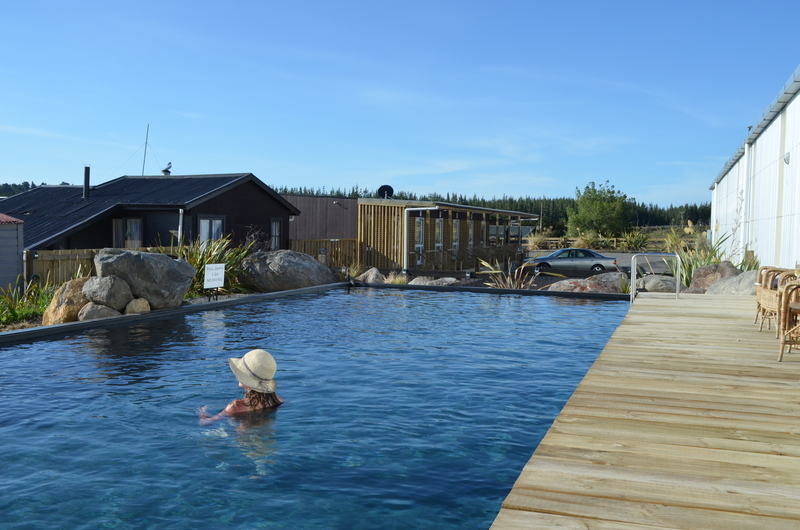 The hot pools are always open, they are there for you to enjoy any time during your stay. Both pool areas are in the fresh outdoors and are well lit, outside and underwater, so you can make full use of them day or night. 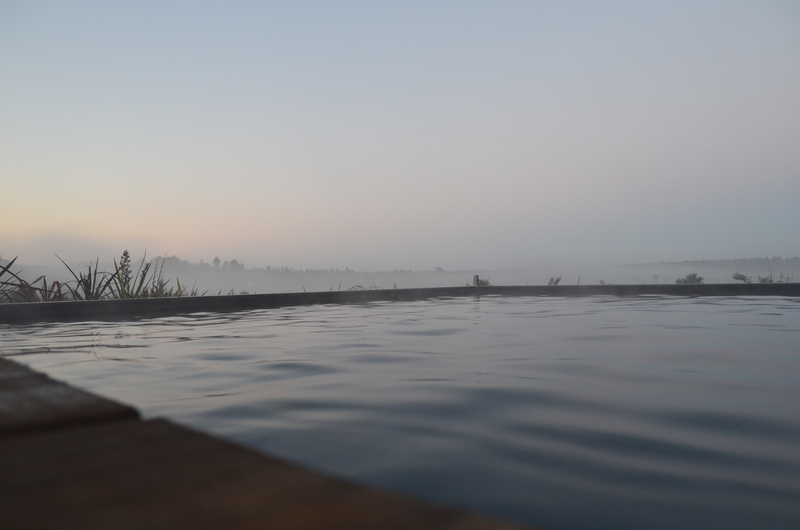 Treat yourself to a leisurely swim while taking in the sunrise. Wind down with a relaxing soak at sunset. Or bask in the warmth while taking in the wonder of the universe on a star spangled night. If you enjoy soaking in hot pools this is the place to be. Our swimming pool sized hot pool is a generous 12m x 5m filled with mountain spring water and replenished daily. Treated with salt, this makes for a more gentle and pleasant swim, and is heated to between 34 and 37 degrees C, depending on the ambient temperature of the season. The position of this hot pool captures the sun for most of the day and has an expansive outlook over the wetlands to the south. This makes for a great place to relax and swim day or night. 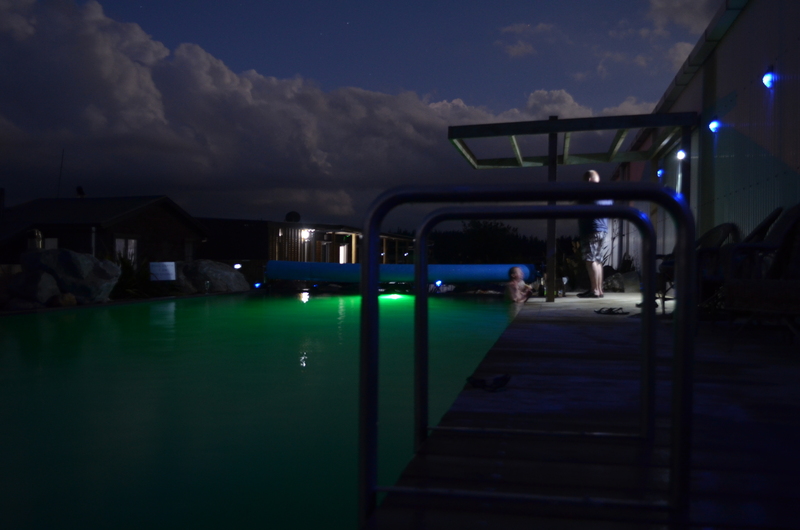 The hot pool area is lit with sensor lights that are motion activated to reduce light pollution and enhance the natural beauty of the setting. Found in a separate and private area is the Spa Pool. This is also filled with mountain spring water and is ozone treated and heated to between 36 and 40 degrees C. This pool comfortably seats 4 or 5 with therapeutic massage jets. 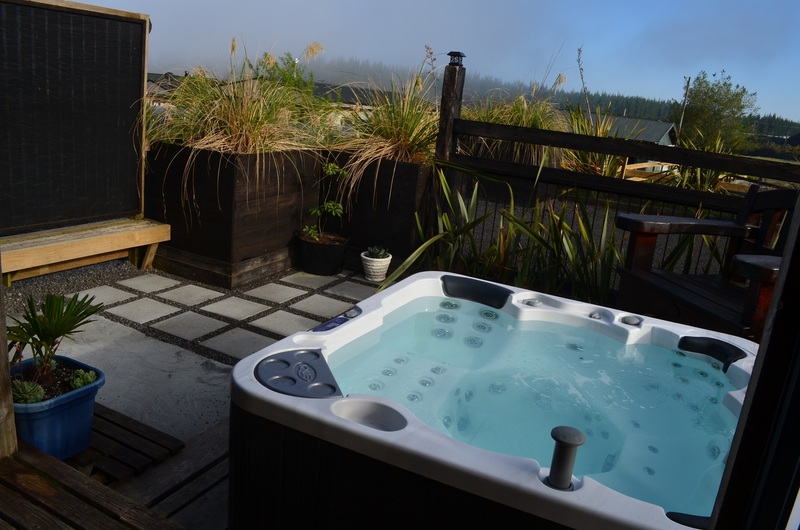 This area offers a more cozy and intimate setting with a peaceful outlook to the native forest of Tongariro National Park. These pools are only available for guest use. 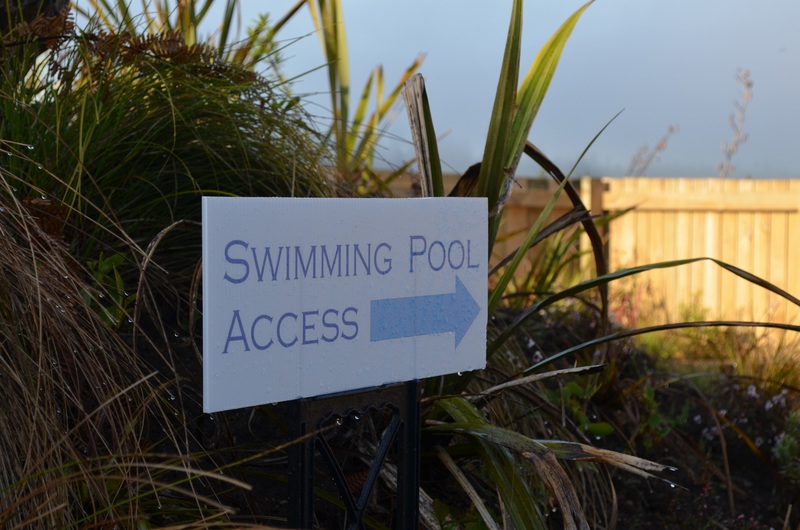 For public Hot Pools try Tokaanu Hot Pools, near Turangi.